Creatine: What Can It Do For You? As one of the most popular supplements on the market, creatine holds its claim to fame for a simple fact. It works! Study after study have proven this. Learn a little more about this and what it can do for you. One popular supplement on the market today among fitness enthusiasts is creatine monohydrate. Most women, when they hear people talk about creatine though, directly associate this with the 'big' guys in the gym, something they take to develop massive muscles. Often they are misinformed on what exactly creatine is and it's effects on the body. Little do they realize that just as creatine can be a powerful addition to a man's training program, it can also prove to be beneficial to them as well. Creatine's claim to fame is that it increases power and strength, decreased performance time and increased the synthesis of lean muscle tissue. Synthesized in the liver, kidneys and pancreas from the amino acids glycine, arginine, and methionine, creatinine is found mostly in the muscle tissue (95%, with the other 5% found in the brain and heart). Forty percent of that creatine in the muscle is found as free creatine while the remaining 60% exists as phosphorylated creatine phosphate (CP) (Demant & Rhodes, 1999). Most notably, there is no apparent difference in males and females in creatine levels in the body (Demant & Rhodes, 1999). The rate of natural creatine turnover in the body is about 1.6% per day, which equates to roughly 2 grams per day for the average 70 kg person. For those individuals who are vegetarians, creatine turnover will be lower as the majority of dietary creatine is found in animal sources such as meat and fish. The first major role is to act as a temporal energy buffer. During short, high intensity activities our bodies' main source of fuel is the ATP-CP pathway, which utilizes creatine phosphate to a high extent. 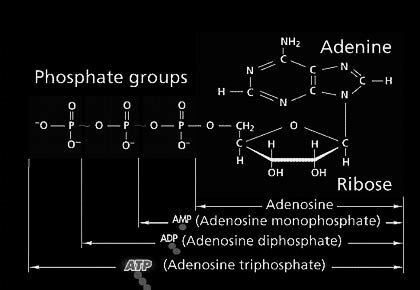 In particular, energy is supplied when we break down ATP to ADP and Pi, and CP is what provides the energy to resynthesize ATP from the ADP after this process has taken place. The second function that creatine has in the body is to act as a proton buffer. When high intensity exercise is taking place, the body's blood lactate levels start to rise. This results in an increase in H- ions which leads to a lower muscle pH level creating fatigue and decreased performance (Demant & Rhodes, 1999). The creatine in the muscle helps to keep muscle pH levels in control by using up the excess H- during ATP resynthesis therefore delaying fatigue. Glycolysis regulation is another function that creatine performs. When CP levels in the muscles are decreased due to the need to quickly replenish ATP stores, glycolysis will be stimulated. The key glycolytic enzyme, phosphofructokinase (PFK) is therefore inhibited by CP and so when CP levels decrease, PFK increases allowing glycolysis to take place and produce ATP to meet demand. In studies done regarding supplementation with creatine monohydrate, 17 subjects were given 5 grams four to six times a day for a period of at least 3 days, typically known as the loading phase. (Demant & Rhodes, 1999). Afterwards, muscle biopsies were performed to note changes in muscle creatine levels. Before supplementation, CP levels averaged 126.8 mmol/kg dm and afterwards they were at 148.6 mmol/kg/ dm. The amount of increase did vary among the participants however, with those who had the lowest starting levels of creatine showing the greatest increases in levels. It also should be noted that the urine samples of the subjects were analyzed each day and with each progressive day, the content of creatine in the urine increased, thus the greatest creatine uptake by the muscle occur in the initial period of loading. They also studied how exercise effects the uptake of the muscle cells with regards to creatine; it appears as though exercise will enhance the uptake of creatine because of the increased blood flow to the muscle tissue. On top of exercise, taking in carbohydrates with creatine will also enhance its uptake in most cases. In their study, 93 grams of simple carbohydrate taken 30 minutes after supplementation resulted in a 60% increase. Longer term studies have demonstrated that there is an increased reported maximal strength and lean muscle mass following a 4 day loading period of 20 grams per day followed by 5 grams per day for 10 weeks. If the loading phase is not accompanied by the lower dose phase than CP levels in the muscle appear to return to baseline within 4 weeks (Demant & Rhodes, 1999). One of the most beneficial things creatine supplementation can do for an athlete or a fitness enthusiast is enhance the CP resynthesis. Those individuals who are supplementing with creatine, show rates of about 20% higher than those who are not. This means that the individual will be able to work out at a higher intensity with decreased time needed for recovery. The best time to take your creatine supplementation is after you have completed your workout. The reasoning for this is because at the beginning of your workout your muscles should be fairly saturated with creatine since you have not been exposed to a high intensity exercise for the last little while. Afterwards however, you muscles will be depleted in their CP stores thus will be more primed to take in CP and will 'stock up' once again and prepare you for your next workout. So if you are looking to give your workouts an extra little edge and possibly add some more lean muscle tissue, creatine may just be the supplement for you to try. It works in many beneficial ways, by acting as a temporal buffer, regulating glycolysis and buffering the H- ions generated through intense exercise therefore decreasing fatigue levels. Vegetarians in particular may want to look into creatine supplementation as they are most likely to be low in creatine stores since creatine is most normally found in meat sources. When taking it, it is important to follow a loading phase, followed by a lower dose maintenance phase as this will ensure your muscles are fully stocked and you are seeing optimal results. Demant, T.W. & Rhodes, E.C. (1999). Effects of Creatine Supplementation on Exercise Performance. Sports Med, 28(1).